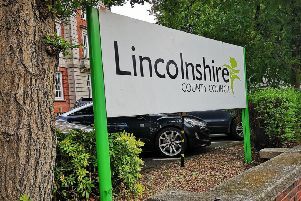 East Lindsey District Council has stressed it currently has no plans to develop The Wong in Horncastle with up to 12 new homes. The future of the historic site has been the subject of intense speculation for many years. Local councillors and organisations have campaigned for The Wong to be safeguarded for community use. A number of proposals have been put forward, including the possibility of developing part of the site and handing the rest over to the community. No decision has been made and The Wong is part of on-going discussions between the district council and Horncastle Town Council about a transfer of assets. However, letters were sent out last week, sparking fresh concerns ELDC was planning to submit an application for a maximum 12 homes, believed to on part of The Wong immediately opposite the town’s police station. ELDC has moved to quash those concerns and said the speculation was connected with the on-going process of re-classifying The Wong as a brownfield site. In a statement, ELDC’s Portfolio Holder for Finance, Councillor Richard Fry, said: “We are currently seeking to put the Wong on Part Two of the Brownfield Land Register, the application for which is still currently ongoing. “There are currently no plans to develop the site but there is a need to understand its value and submitting an application to put the site on the Register helps to determine that. Despite ELDC assurances, there is still strong local opposition to the reclassification of the site from greenfield to brownfield status. Earlier in the process, the town council submitted a strongly worded objection, as did the History and Heritage Society. Re-classification would, in theory, open the way for possible re-development. Another letter of objection, from town resident Dominic Hinkins, was posted on ELDC’s planning portal last week. Mr Hinkins says The Wong was left to the people of Horncastle in the 19th century by Edward Stanhope MP. He accepts ELDC are the legal owners but adds they do not ‘morally’ have the right to sell or develop the land as it belongs to the people and the town. He describes the move towards brownfield status is ‘patently incorrect’ and adds there would be strong opposition to any construction plans. He suggests there are other ‘genuine’ brownfield sites that could be developed.